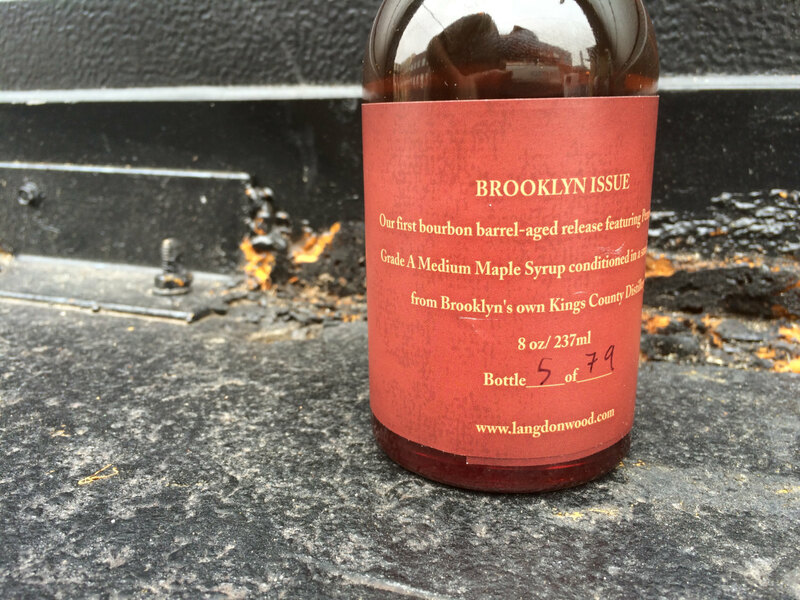 On a recent trip to New York I sought out Kings County Distillery in Brooklyn’s Navy Yard. As it happens they had a few freshly emptied Bourbon barrels ready for sale. They were five-gallon barrels, so I had no trouble hoisting one on my shoulder and trundling off to Penn Station for the trip home. I was able to obtain another barrel recently (albeit without a trip to Brooklyn), so I loaded it up with the same Grade ‘A’ Medium Pennsylvania maple syrup that we use in all of our products and let it sit for a few months. I find that the spirit flavor is much bolder than the rye and wheat whiskey barrel-aged versions. This is probably the consequence of using a barrel that is small, but also was used for Bourbon. Each 8 fl. oz / 225ml clear flip-top bottle in this limited run of 79 is hand-numbered.